If you have one computer in your home then might be your computer is shared by others member of your home , so some time you want that your files and folder should not be accessed by other members .In that case you have to lock your folders and files .You can make your folder and files password protected so if some one try to open it first it will ask password to open it.If you want to lock any Microsoft office then you can protect easily by passwords , so each time you want to open that files you will be first ask password of this Microsoft office document if you are fail to enter right password than file will not opened similar to it we can protect our folders so until we will not enter right password the folder will not opened .There are different methods to lock the folder lets see of the easy method and you can also look at my post below post on how to copy images and text from secured PDF files which not allow copy. Most of us have Winrar installed on our computer , using winrar we can easily created protected files and folders .Those who don’t know about winrar , then in short i can tell you its a software which compress the files and folders and it also can be used to protect those files and folders via password.Before we start protecting files and folder those users who don’t have winrar can download this from the below link. After downloading install winrar to your computer .Now we have to gather all the files and folder to which we want to protect by passwords .Let says i have folder in which there are video files now i want that no one can access this video files without password so i will make the folder password protected , the advantage in using the winrar that it provide you many more functionality like compressing files and folder so let see how to do it. 1.) 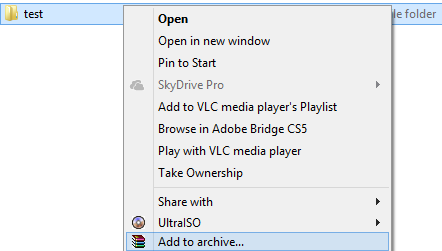 Right click on the folder and click on Add To Archive .It will pop a new window and ask for some information , see below image . 2.) Now in the newly opened window checked the Lock Archive and also enter the archive name to give name to your protected folder ,see below image. 3.) Click on advanced tab and then to set passwords click on the set password , see below image . 4. 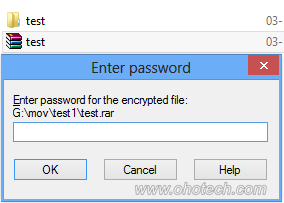 )Now finally enter your password and also checked show passwords and Encrypt files names , encrypt file names will encrypt files until you will enter the password to open archive ,see below image. 5.) Now it will start making an archive files , once the archive will create double click on the file to open it .Now we have to enter password to open the protected folder. That’s it now your files is protected and it will not be opened until you will enter the correct password .it will show you error of wrong password if u enter the wrong password ,see below image. 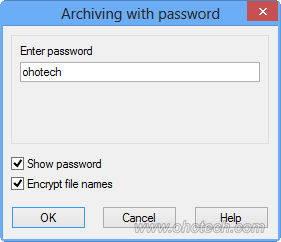 So now your files and folder are password protected , i hope you like my this post if you have any query please leave comment i will try my best to answer it and please don’t forget to subscribe to my blog. very useful tip for zipped files. thank you!